Malinda Pritchard Blalock is one of two women known to have fought for both the Confederacy and the Union during the Civil War. She expressed support for secession before the war started but her husband, William “Keith” McKesson Blalock, was pro-Union. Malinda soon shared his views. The couple, who lived on Grandfather Mountain in North Carolina, feared Keith would be conscripted into the Southern army. To avoid this, he decided to muster into the Confederate army and then desert to join the Union army. He went with friends to the recruitment office and became part of the 26th North Carolina Regiment, Company F.
Sources disagree here as to whether Malinda signed up as his twenty-year-old brother “Sam Blalock” at the same time or if she disguised herself as a man and surprised him on the march. The document still exists of her registering as “Samuel ‘Sammy’ Blalock” at Lenoir, North Carolina, on March 20, 1862. Her discharge papers have also survived, documenting a female soldier in the Confederate army. Unfortunately for Keith and “Sam,” their regiment was stationed at Kinston, North Carolina—not in Virginia where it would be easier to desert. About a month after they enlisted, Keith’s squad was given a night mission to find a particular Northern regiment. Skirmishing broke out and Malinda was shot in the shoulder. The surgeon who removed the bullet also discovered her identity. She was discharged. Frantic that her secret was out, Keith found a patch of poison oak in the forest. Discarding his clothes, he rolled around in it and then returned to camp. By morning, a red rash covered his skin. Surgeons gave him a medical release. Malinda confessed that she was his wife and they left together. Once Confederate forces learned that Keith had recovered they ordered him to return to his regiment. 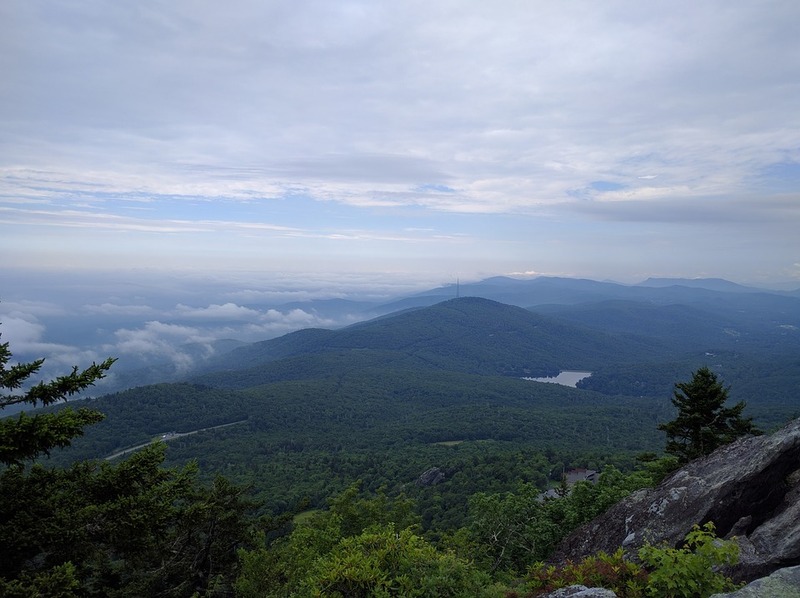 The Blalocks fled to Grandfather Mountain, finding other deserters there. They stayed with this group until Confederate troops found them. The couple escaped to east Tennessee. Malinda pretended to be Sam again when they joined the 10th Michigan Cavalry. She served as Keith’s aide-de-camp. Malinda, now pregnant, left the regiment to have her baby son in Knoxville. She rejoined her regiment two weeks later. Keith and Malinda later joined Union Colonel Kirk’s voluntary guerrilla squadrons on scouting and raiding missions in North Carolina. 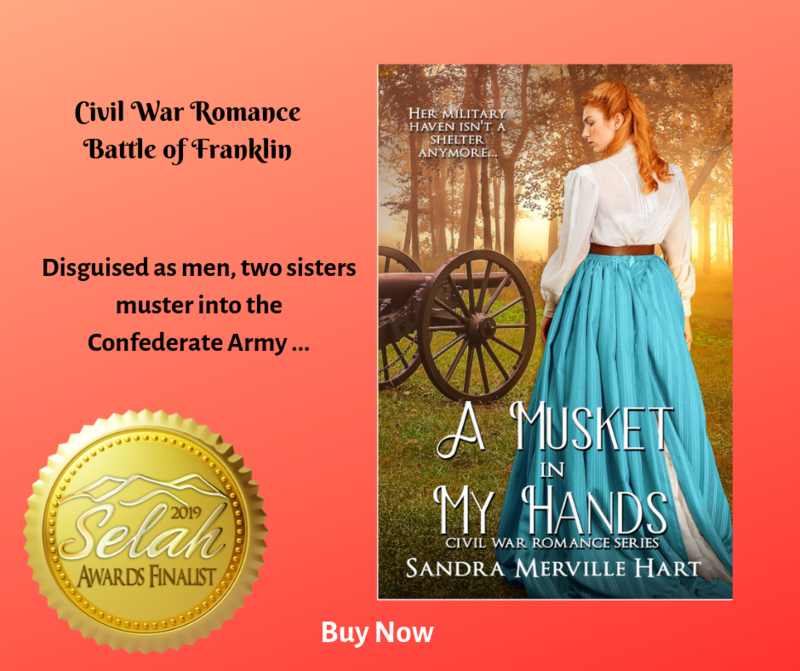 In my Civil War novel, A Musket in My Hands, an ultimatum from their father forces two sisters to disguise themselves as men and muster into the Confederate army in the fall of 1864—just in time for events and long marches to lead them to the tragic Battle of Franklin. “Malinda Blalock,” Wikipedia.com, 2018/12/10 https://en.wikipedia.org/wiki/Malinda_Blalock. “Malinda Pritchard Blalock,” Rootsweb.com, 2018/12/10 http://sites.rootsweb.com/~ncmitche/sam.html. Silvey, Ania. I’ll Pass for Your Comrade: Women Soldiers in the Civil War, Clarion Books, 2008. Slappey, Kellie. “Sarah Malinda Pritchard Blalock (1839-1903),” North Carolina History, 2018/12/10 http://northcarolinahistory.org/encyclopedia/sarah-malinda-pritchard-blalock-1839-1903/.